This past weekend I decided to try out another DIY project for the house. I recently discovered that my dishwasher was not draining and their was nasty food and stuff left on dishes after the washer had run it’s cycle. I started looking up what might be causing this and discovered the problem was my garbage disposal, which hadn’t been used in a few years anyways because it was broken. I also noticed that while running my dishwasher it started to back up in to and fill my sink. So once I actually took a look at my disposal I realized that my dishwasher was connected to it and that it was the culprit for all of these problems, including that side of the sink not draining properly. Basically even though it wasn’t being used it was clogging up one tiny hole that helped everything drain properly. 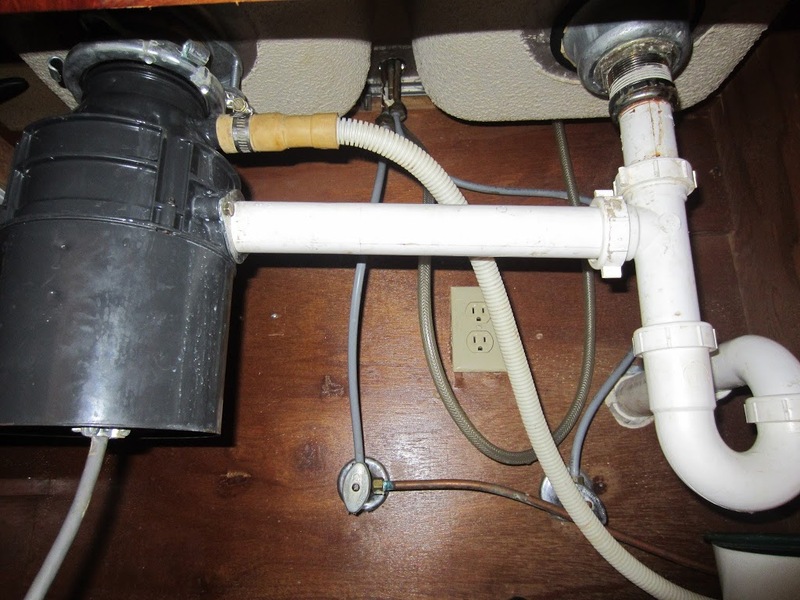 I decided I would be taking it out and just replacing it with regular drain pipes, a cheaper option than buying a new disposal. Basically I took a before picture to Lowes and had someone in the plumbing department help me get the right pieces. Since they were not actually seeing it in person and we didn’t know exact measurements, I made sure to keep everything together and my receipt just in case I needed to exchange or return pieces I didn’t use. I ended up having to do both, so I’m glad I kept everything including packaging until I was completely done and sure I had what I needed. After I had all the parts I thought I needed, I went home and worked out getting the garbage disposal out. It was already unplugged since it didn’t work anyways. So I started by unscrewing the pipes that were connected to the right side, and disconnected the dishwasher hose. After that, at the top of the disposal there is a mounting gasket(I think that’s what it is). You basically have to turn this part to release the garbage disposal. I just looked it up on youtube! In order to get the sink mounting part completely off, you should have to find a lock ring up there and pop it out of place and it will release the rest. If you don’t know what I’m talking about just look up “removing garbage disposal” on youtube! Okay so the disposal and related parts are out. Clean the top of the sink, there should be plumbers putty left over and it’s probably dirty. Next you would install the sink basket strainer, put some plumbers putty on the bottom of the basket strainer where it will sit on/in the sink. Then you will push it down in place. Putty will come up and from the bottom, just peel it off with your fingers. You will screw on the pieces underneath the sink that come with the basket strainer. 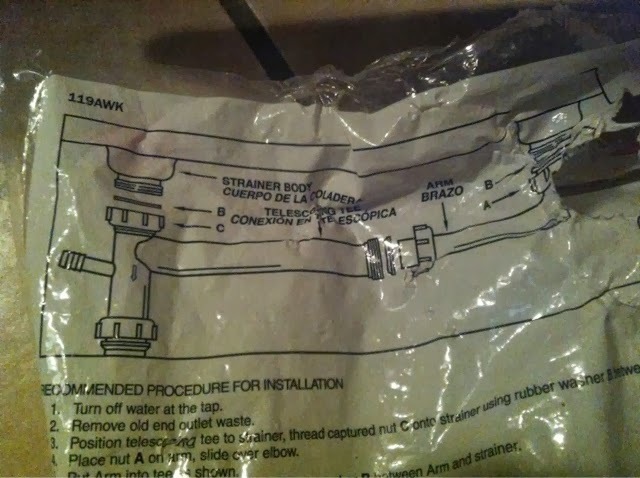 Then after that you basically piece together the drain pipes. In my case I had to buy a deep sink basket for my pipe kit to line up like it needed to. For my setup I basically just had to buy this kit, and hand tightened everything. It was a pretty simple job, it just took a lot of time since it was my first time doing this and I was unsure. But I now know how I can do it and if you have any questions, just ask! I would love to help you figure yours out as well. 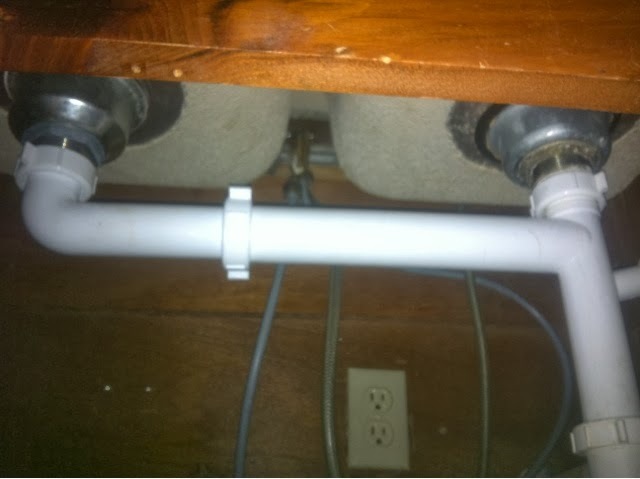 By the way I am in no way a plumber, but this didn’t seem too difficult and I’m pretty sure I did it correctly 🙂 Besides it never hurts to try to do something yourself, if your smart about it!